The 4th of July is less than a week away! Can you believe it? I swear this year is just flying by. Since the 4th of July is almost here, I thought I would show you a last minute DIY that you could make for your four-legged friend! 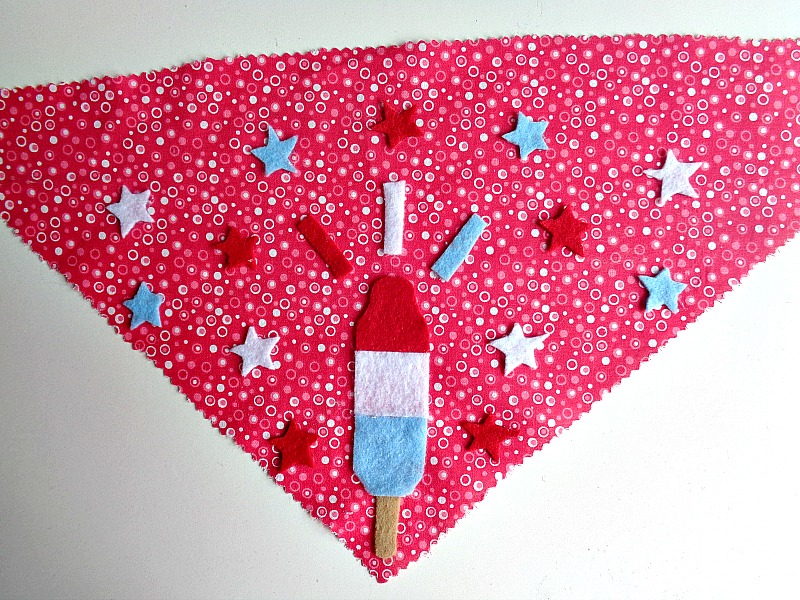 The DIY I will be showing you today is a Firecracker Popsicle Dog Bandana! 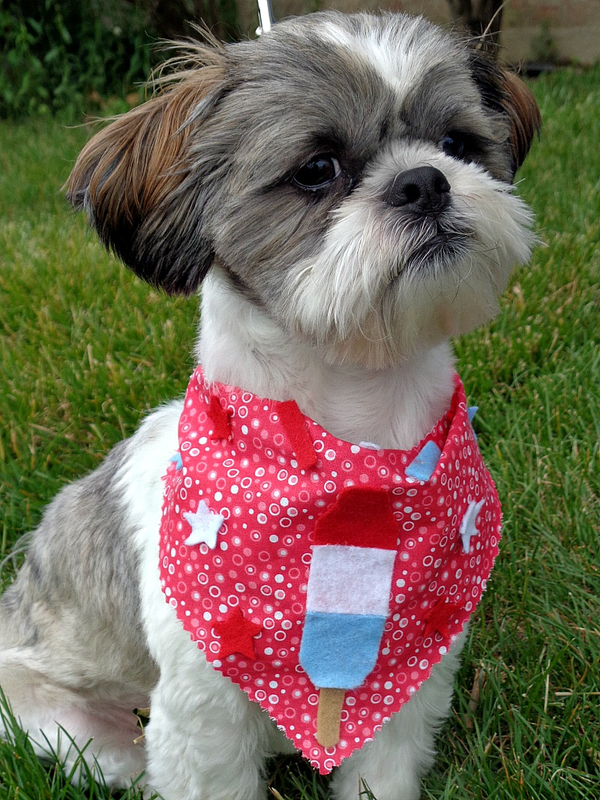 I designed this project so your dogs could be more included into your 4th of July festivities. For instances, if you are taking photos on the 4th of July, this project would be a cute way for your dog to stand out in those photos. With that being said, this project is super inexpensive to make because I used supplies that I already had on hand. For example, instead of making a brand new bandana for this DIY, I used a bandana that my dog had received from the groomers. By doing this, the bandana was already cut to size and essentially a blank canvas for my design. 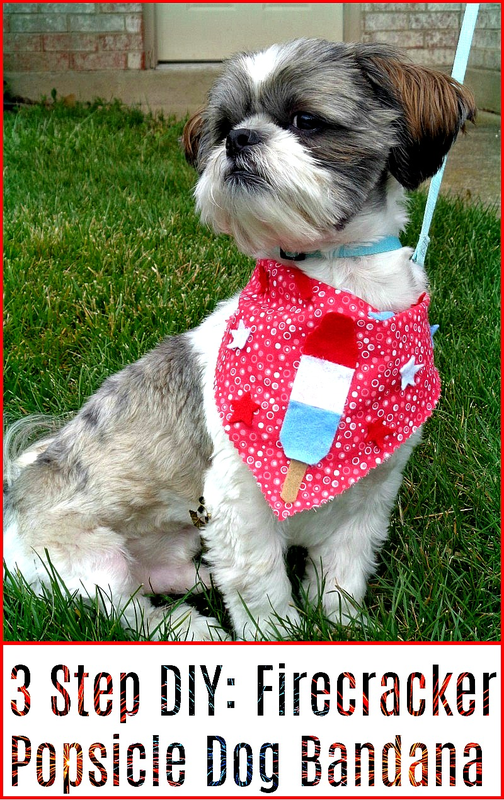 So, if you want to learn how to make your own Firecracker Popsicle Dog Bandana, then keep reading below! 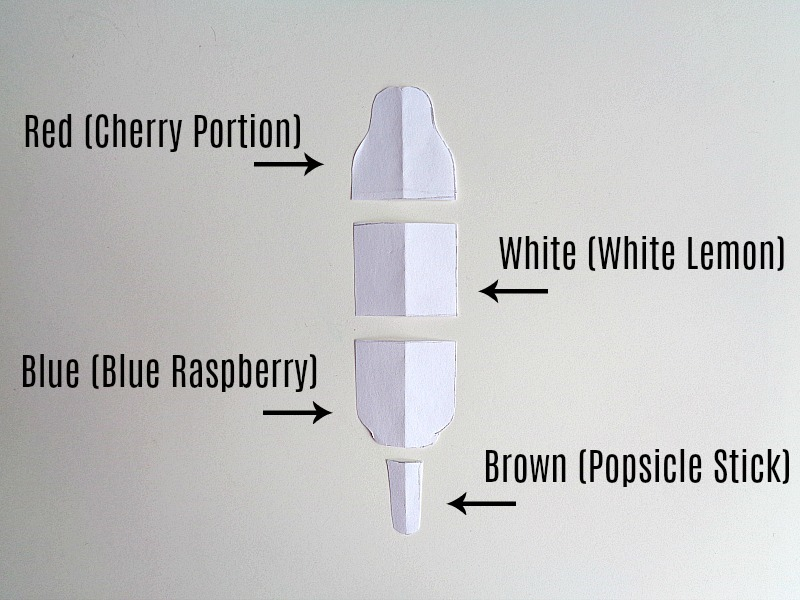 Step 1: Print out your firecracker popsicle template and cut it out. Then, on the dotted lines, cut your firecracker popsicle into 4 parts. By doing this, you will have a pattern for each portion of your firecracker popsicle. Crafty Side Note: In the above photo, I used my original hand-drawn template. However, the firecracker popsicle template that you print out will be labeled with each color and include dotted lines. Step 2: Trace around each of your pattern pieces onto the right color of felt, then cut out each piece. 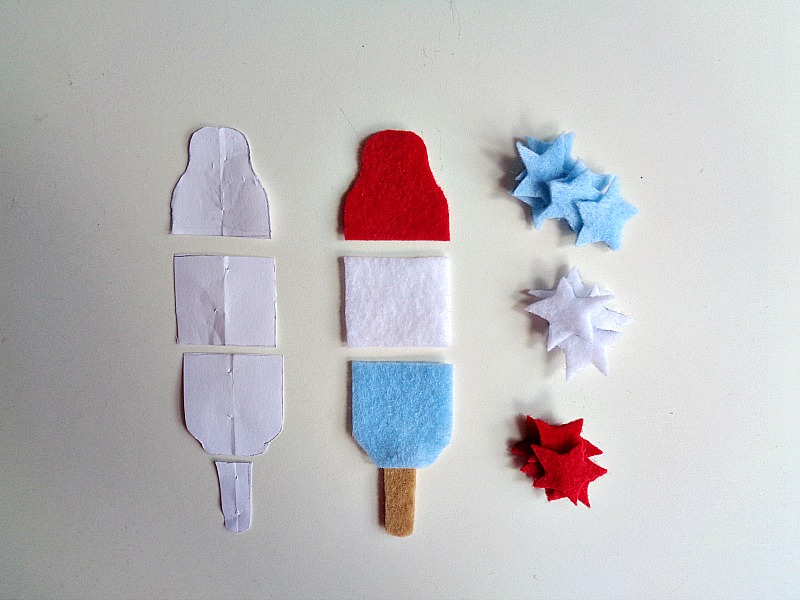 Finally, for some extra 4th of July flair, cut out little stars from your red, white, and blue pieces of felt. 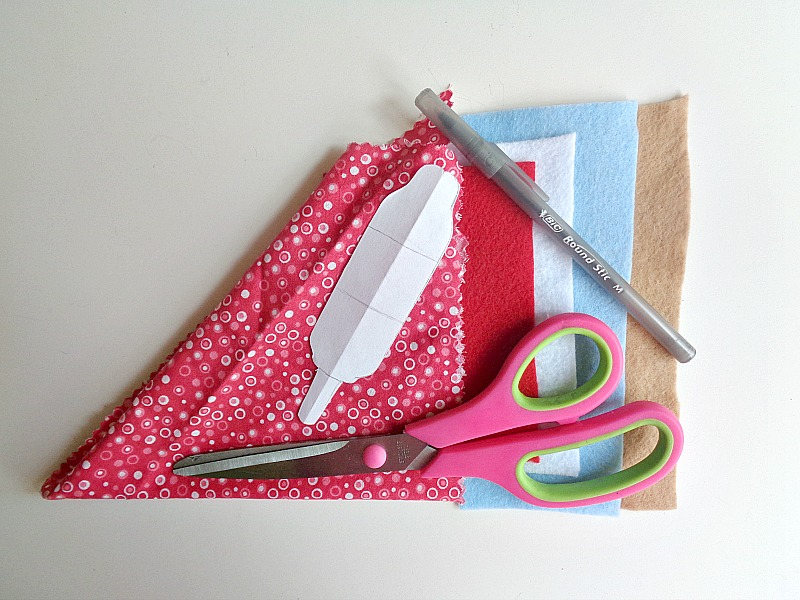 Once all your felt pieces have been glued on, your dog is ready to wear his or her new bandana! I loved how this project turned out and Niblet seemed to really enjoy wearing the bandana! Now, even though I went with a firecracker popsicle design, you could easily change this DIY to fit your own ''4th of July taste''. For example, you could create a flag, cut out red, white and blue dog bones, or simply cut out stars. The possibilities are really endless and you can get as detail or as simple as you like when making this project. What do you think? 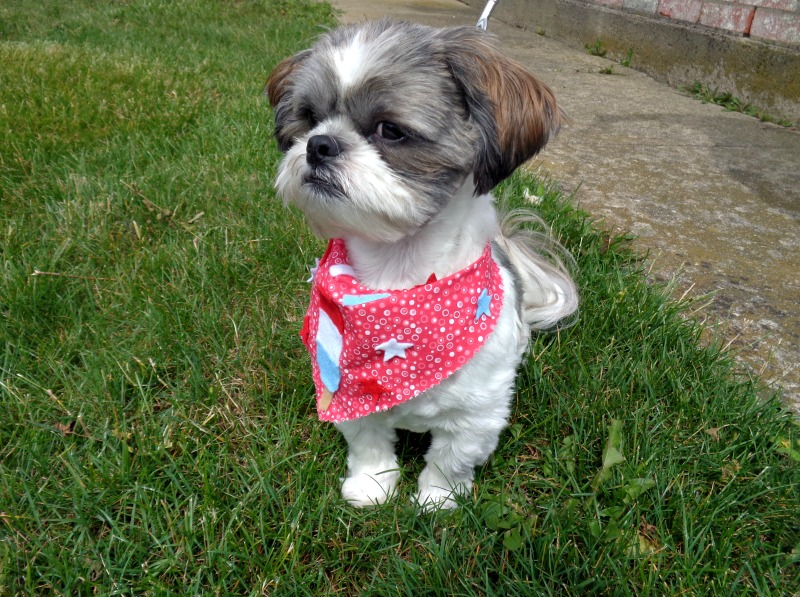 Do you like this Firecracker Popsicle Dog Bandana? p.s I know handmade items are not perfect. So anytime I make a toy/item for Niblet, I always make sure to watch him while he is playing. You can never be to careful with your four-legged friends!